Sergio Aguero paid for an ill 10-year-old Manchester City fan and his family to watch Saturday’s 2-1 win over Newcastle in a luxury box at the Etihad Stadium. 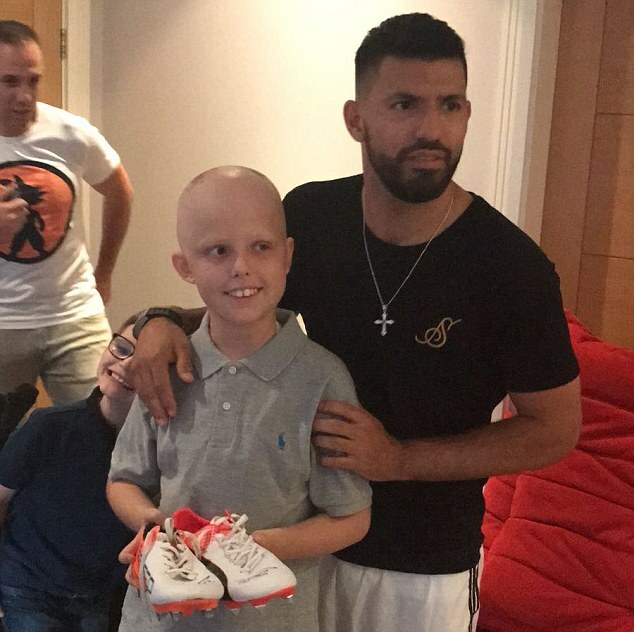 Callum Foy, who has the rare condition neurofibromatosis which causes tumours to grow anywhere in his body, was Aguero’s special guest for the Premier League game. Young Callum looked delighted as he posed for pictures with Kevin De Bruyne and John Stones, while Raheem Sterling gifted him a signed match shirt. Callum is currently having treatment for a cancerous tumour on his neck and is scheduled to fly Germany in September for up to 10 weeks of care. He also has an inoperable tumour on his brain which is not malignant but will need to be treated with chemotherapy. Sterling wrote Callum a message on his shirt. It read: ‘Best wishes. Good luck with your treatment’. Saturday’s invite was not Aguero’s first act of kindness towards Callum. 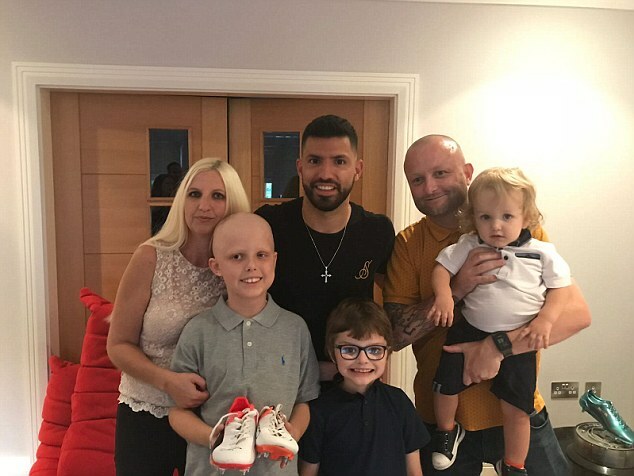 Last month, the striker welcomed Callum into his home where he posed for photographs and received a signed a pair of boots. 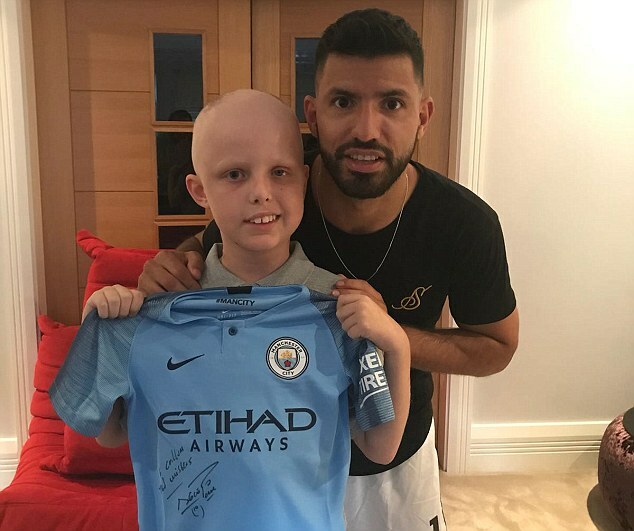 Aguero handed Callum a signed City shirt and showed him some of the mementos from his career.